Journey with us as we follow Christ to South Africa. | And he said to them, “Follow me…"
This phrase literally refers to “something that takes place in the presence of, or before the face of, God.” To live Coram Deo is to live one’s entire life in the presence of God, under the authority of God, to the glory of God. In October of 2017 we left our home in South Africa. Our intention was to be in the United States for three months, renew our visa, visit family and friends for the holidays and then return to our life and ministry in Pretoria the following January. We made our plans, but it clearly was the Lord who established our steps (Proverbs 16:9), because we are still here. At the recommendation of our mission’s director, we decided to take a year furlough. Although difficult to accept, as this year progressed, it became clear that living in South Africa was no longer going to be a wise option for our family. So for the past year we have had no definite plans except that we were to stay put and wait. What I have learned in the waiting comes from the Latin term “Coram Deo.” This means that we do not just wait doing nothing, but that all of life is to be lived before God whatever or wherever we are. Whether it be here in Santa Ana, California or there, in Pretoria, South Africa, we live under His authority, in His presence, for His glory. This truth has brought contentment and purpose in the waiting. Work and Ministry God has been gracious to give Randy the opportunity to continue in ministry as he has worked as an interim associate pastor for Grace Church of Orange since our return. Recently, this position has transitioned into a permanent one and we are so thankful for God providing employment for Randy. Since July of last year, I have been working as a teacher-on-record for homeschoolers for a public charter school. Having not worked outside the home for 15 years, balancing work and family responsibilities has been a challenge. At the same time, I am thankful this job provides needed income with the flexibility to work from home. I am thankful that although we have not been on the “mission field” this past year, there are still so many opportunities to be involved in ministry. Beginning last fall, I agreed to help with GCO’s women’s ministry as the co-director and am also helping with a new ministry to GCO missionaries which we have called MPAC (Missionary Prayer and Care) in which the ladies of GCO meet once a month to hear from a missionary and pray for the different ministry needs. Julia graduated high school, obtained a driver’s license, worked as a lifeguard over the summer, and has been taking online classes through The Masters University. She is very involved in the life of the church serving and building relationships. God-willing she will transition to the campus of Masters in the fall where she will major in Political Science. Although Marissa deeply misses South Africa, she also trusts the Lord thoroughly and has settled contentedly into her life here. She also has passed her driver’s test this week and will contribute to the taxi’ng of kids! A talented artist, she enjoys being on the swim team, horseback riding, paddle-boarding and learning from God’s word. As Gabriel hit his teen years, he has grown in so many ways. It was precious to witness Randy baptize him in the Pacific Ocean with other members from Grace Church last summer. We are so thankful for his involvement with the church’s Jr. High youth group where they are leading these youth to study and treasure God’s word. He has physically grown over half-a-foot and loves his Parkour and Trampoline classes. Always so willing to be helpful and serve, Sophia loves being on the swim team and working on her AWANA verses. She is bold in her faith and always willing to challenge her classmates with their ideas. We are so thankful for her sweet-spirit. Elijah is thriving as he attends public school and we appreciate the additional support that being there has provided to meet his needs. Basketball is his game! He loves to study God’s word and takes copious notes during the Sunday sermon! Julia, Marissa and I took an amazing trip to D.C.
A visit to the nation’s capital! To live is Christ to die is gain. The end of 2018 also marked the end of a beautiful earthly life as Randy’s mother’s body succumbed to pancreatic cancer which his father died of the year before. It was a peaceful passing and we are so thankful that the Lord knew and orchestrated our lives to be here to spend her final days with her. We are thankful for the promises of God. After much prayer and discussion and more prayer and discussion and ultimately trusting our God, we have decided that for now we will transition our lives back to Orange County. There are many reasons that have lead us to this decision, but in it all we remember that our purpose in life is to live for His glory and honor and this is done wherever we are. We miss our precious South African life, our church family, our home, living cross-culturally, the beauty of the country and its people. Our prayer is that one day God will see fit to bring us back, but we trust that for now, to meet the needs of our family and to serve my parents, we will stay put. We are so thankful that God continues to allow us to be part of ministry and that He has blessed us with such a wonderful solid God-glorifying church family in Grace Church of Orange. Randy will be travelling back to Pretoria in March to put in reverse what we did five years ago: sell our wonderful home, give away and/or ship our belongings back. He also has plans to visit dear friends in Malawi and Zimbabwe who are involved in church planting work in those two countries. We have lived in a Calvary Church mission house this past year. While here, Randy single-handedly renovated the kitchen! Well, maybe Marissa helped on demo-day! God has not shown us where will live once our stay at the mission house is over (end May of this year), but we trust Him to provide as He has always been so faithful to do. In our hearts we will always be connected to the people and ministry in South Africa, Malawi and Zimbabwe. We are praying as to how we can continue to be an encouragement, support and point of connection to the ministries that are occurring there. As we make the transition over the next few months, we appreciate your continued prayer and support! All of life is “Coram Deo”, living in the light of His presence as a living sacrifice with the conviction that there is no higher calling than offering our lives for His honor and glory! When we left South Africa for California in October, 2017, we were already on Plan B. Plan A, our original plan, was to leave in mid-November and return mid-January. That plan quickly and thankfully was changed as we hurried back to spend time with Randy’s father whose body was losing its battle to cancer. We are now on Plan G.
Flying back on our original return ticket in January, Marissa and I had the opportunity to be in our South African home for three weeks. What a joy it was to attend Lu’s wedding and spend sweet time with those we have grown to love and treasure! Marissa used her artistic talents to bake and decorate the cakes for both Lu’s Bridal shower and wedding! Precious, precious time with our South African Family! A gift to spend time with this dear precious sister! She is brave and strong and her body is fighting! Shepherd’s Conference Randy, along with the pastors from Grace Church of Orange, had the privilege of attending the Shepherd’s Conference put on by Grace Community Church. The mission of this annual conference “is to provide the opportunity for men in church leadership to be challenged in their commitment to biblical ministry and to find encouragement as together we seek to become more effective servants of our chief Shepherd.” Over 3000 men from all across the globe were in attendance including our dear South African friend and director of the non-profit organization, 1Hope4Africa. Andre DeWit flew out with his wife, Karlien to attend this conference and it was a treat to spend time with them and show them our American ways. Mission’s Conference As missionaries supported by Calvary Church of Santa Ana, we have never been available to take part in their annual Mission’s Conference week that takes place every March. Currently, Calvary is serving and supporting 73 active families in over 30 different countries as well as several retired missionaries. We attended several events during the week that were designed to encourage and bless attending missionaries and to challenge the congregation to consider how they might take part in bringing the message and mission of Christ Jesus to the nations. We truly appreciate Calvary’s commitment to global missions and to be part of a church who has at its core the vision to : “By God’s grace, (we’ll) expand His kingdom into every tribe, language, people and nation in the world Rev 5:9. Randy continues to work and serve at Grace Church of Orange, filling in the interim with pastoral care duties while the church searches for a permanent associate pastor. He also has been given building maintenance projects for the church. He is so grateful for this position and the opportunity to serve with such an amazing group of men lead by senior pastor Mike Sciarra who is a constant encouragement and friend to Randy. Family News: Elijah has enrolled in full time school, a unique competency-based charter school that focuses on project-based learning. Each student receives a Google chrome book to complete class and home assignments. Elijah is enjoying his new school and is motivated, focused and diligent in a way he has never been before. We are so proud of him. Sophia and Gabriel have also been enrolled in a unique charter school where they attend two days/week and receive hands-on instruction in History and Science. They are homeschooled the other three days. They have also enjoyed learning new skills through being part of a home school basketball league. Marissa is a student of yet another charter school that allows her to access state funds to participate in several extra-curricular activities such as horse-back riding, paddle boarding and animation classes and tap dancing. Julia tested out of high school and has begun college through dual enrollment/online classes with Master’s University. Although the demanding coursework was a challenge she needed to adjust to, she is now enjoying the rigors of the higher-level university classes. Her extra-curricular has been basketball, paddle boarding, horse-back riding and being part of Grace Church’s Youth Group. In March she also moved into that most important milestone of adulthood as she celebrated her 18th birthday. I don’t know how that happened, but apparently it did. And then without us realizing it we became a household of three teenagers as Gabriel (who has grown three inches since we landed in October) turned 13. Didn’t he just look like this a few moments ago? Speaking of Milestone Birthdays, this youngster (affectionately known as Papa), Susan’s father, turned 90! We were so so thankful to be here to celebrate with him. Surprise! Quite unexpectedly, my sister Jocelyn and her husband, Mark became grandparents to twin boys. They have brought these two precious bundles home to care for them as long as the Lord allows. They have quickly adjusted to this sudden, but welcomed, interruption to their lives and adore sweet Abraham and Benjamin. Aunt Susan has had the joy of holding babies and helping with feedings, burpings, changings, rockings and shushings. We are on Plan G, which is to stay put, where we are, in Orange County through at least the 2018-19 school year. As the months since our return in October have unfolded it has become more and more apparent that this is where our path has been directed. “We don’t know what the future holds, but we know who holds the future”. So cliché, almost cheesy. Yet so true. We have made many plans these past few months that have been totally vetoed, amended and modified by the Sovereign King who sits on the throne. We do know that our God is the all wise and loving One who orchestrates the events of our lives and we will be content to trust Him. We are so thankful that He has provided an affordable place for us to live (thank you, Calvary Church) while we wait for Him to show us what is next. In the meantime all is well with the ministry and our home back in South Africa and we are content and grateful. Have a blessed Resurrection Sunday with love from the Clarks! A Time to be Born September 27, 2017 – Randy’s 52nd birthday. We were on a family outing to celebrate the occasion visiting a small, but mighty zoo where you can observe up close all the major large cats. Desiring optimal medical resources, the Chilingulos were staying in South Africa awaiting the birth of their child. Newton had made a quick trip to Malawi leaving Vanessa, his very pregnant wife, and 5 year-old Chisomo with Vanessa’s mother in South Africa. Vanessa was not due until the 10th of October, so Newton calculated that he had plenty of time to return to be present for the birth of his child. While observing the white lions who were so fat from being in captivity, Randy received a call from Newton asking if he could pick him up from the airport that afternoon. Vanessa had gone into labor!! Oops, guess Newton miscalculated! By God’s grace, he arrived at the hospital just in time to witness the birth of his son! Karabo Newton Chilingulo, born on Randy’s birthday! What a sweet gift it was from the Lord. His name means “answer to prayer”. Born on the same day only a few decades apart! And a time to die Our visitor’s visa that allows our family to live and work in South Africa expires at the end of this year and so we scheduled our next visit to the U.S. for early November. We also worked with a lawyer to help us apply for a work permit in the hopes that we would be allowed to stay in the country longer ( 5 rather than 3 years) and work towards a more permanent status. About a month before our departure date, we received word that the pancreatic cancer that Randy’s father had surgery for a few years earlier had returned and that he had only a short time to live. We changed our plans and flew back to the United States three weeks early and by God’s grace had time to visit with and care for Dan during his last days on this earth. A time to heal We have been spending lots of time with Barbara (Randy’s mom) helping her with clearing out her house and just keeping her company. Just after Thanksgiving, we dropped in to visit her and discovered that she had had a minor stroke. We are thankful that we decided to visit her that afternoon and get her in for proper medical attention. Thankfully, she has since recovered and had enough energy to take the grandkids to the movies the other night! Grandma (next to Kylo Ren) enjoys a night out with grandkids. A time to keep and a time to throw away We have also spent quite a bit of time helping Susan’s parents clear and clean out their home to make their living situation more comfortable. We are grateful that we have had the opportunity to be here to serve them. Sisters with mom and dad. My dad is SO smiling on the inside! A time to plant and a time to uproot For five years we have planted ourselves in South Africa and when we left there in October, we had every intention of remaining planted and returning in January, 2018. In fact our application for a work permit was submitted earlier in the year with the intention of being even more firmly planted. However, the first week of December, we received word from our immigration attorney in South Africa that our application for the work permit was denied. This does not mean we may not continue to work and live in South Africa, only that we need to reapply for the visitor’s visa we have always used. At around the same time we had a long meeting with the Mission’s Director of Calvary Church, Liz Gold. After we spent time updating her, she told us that normally, after their missionaries have been on the field for four years, they are expected to return for a year furlough as a time of renewal and reflection. Since we have been in South Africa for five years and with all the different family issues, she has very strongly recommended that we extend our time here in the U.S. for a year. She assured us that we will be still be doing ministry (as a believer, isn’t all of life ministry? ), but this now involves also “restrengthening yourselves spiritually, emotionally and physically.” This will allow extended time for both our immediate family and our parents who, as we have said, are requiring more personal care. This will also give us the opportunity to assess our years of ministry in South Africa and prepare for the future. Randy has shared this with the leadership and mission’s board of Grace Church of Orange and they are also supportive. This was a bit of a shock for us and took us some time to process . After much consideration and prayer, we have seen the wisdom in this recommendation and have accepted that for the moment our lives in South Africa will be “uprooted”. A time to love We are so thankful that God has blessed our dear Lu with a godly man for her to have and to hold until death do they part. Susan and Marissa are planning on flying to South Africa on their existing return tickets in January to attend Lu’s wedding and love and hug every Living Hope Church member they can find. A time to weep The same day we had the above meeting with Liz Gold, we received the heart-breaking news that our dear sister and friend, Marda Mack was diagnosed with stage three breast cancer. Marda has been and is foundational to the ministry of 1Hope and Living Hope Church. A godly wife to Living Hope Church pastor, Josh and gracious loving mother to nine children. A dear dear sister, friend, confidant to many of the ladies. The news has saddened us all deeply, but Marda lead the Living Hope ladies this past year in the study of the attributes of God. Through that study we learned: Our infinite never-changing God is all-knowing and all-powerful, ever present, on His throne and sovereignly in control of all things. This is the God we trust. This is the God we belong to and this is the God we know is holidng tightly to the beloved Mack family. Please, please pray for them as Marda has a year of chemotherapy, surgery and radiation ahead of her. We are trusting that for dear Marda this next year will be for her A time to heal. Beautiful Marda Mack, founder of the Muphamuzi Baby Home is always giving herself away! A time to dance I just wanted to share this video because I love it. The quality of the video is terrible, but the quality of the worship is like none other. So fun to see our Living Hope church family worshiping and having communion in our home even in our (physical) absence. Thank you, Sarah Ray, for this video! A time to embrace As much we are missing our Living Hope Church family, we are also rejoicing in spending time with family on this side especially for the holidays. We will need a place to live for our time here. We are currently in a mission house provided by Calvary Church, but will need different housing at the end of February. For our generous and all-knowing God to provide the extra funds we will need to take care of our daily expenses while living in Orange County. Grace Church of Orange has hired Randy to work part-time at the church until the end of the March, filling in for one of the pastors that has recently left to plant a church. Randy is also substitute teaching at his old school district a couple days a week. Both of these have been a blessing, and we truly trust God to know and provide for what we need. For wisdom and resources as how best to care for Randy’s mother who is now alone, and Susan’s parents who are also elderly and frail. For our children as they adjust to unexpectedly living in Orange County rather than Pretoria. Each child has their own specific needs. For God to continue to bless and grow the ministry and work He is doing in South Africa. We understand that this is not our work, but His. He can and will accomplish His purposes. May God richly bless you with every blessing as we look forward to this coming new year. Last month, August 2017, marks half a decade since we landed in South Africa to live and serve alongside the ministry of 1Hope4Africa. Our plan and commitment at the time was for one year, but obviously, that was not the “real” plan (The heart of man plans his way, but the Lord establishes his steps. Proverbs 16:9). Our God and His Word are sufficient for all circumstances of life. He is worthy of our trust and any difficulties that have come to us, as great as we have made them to be in our minds, in reality, were inconsequential in comparison to the infinite, all-powerful, all-knowing, ever-present sovereign, loving Holy One. As Christians, we belong to a purpose and cause so much larger than our individual lives or family. We belong to a global family of believers commissioned with the task of representing King Jesus in order to bring the gospel to a people in desperate need of hope. What do you miss the most about our lives in America? Gabriel: “ I really miss my friends and Costco food and Mexican food, and… also In-N-Out…” He’s a pre-teen, growing like a weed. Food is on his mind a lot. Simon today with his forever family. Most Encouraging: Randy: “Picking up Lucky from a street corner to help with a small project, sharing the gospel and inviting him to church. (We shared his story here. )Then watching him continue to grow in his new faith. And also being part of the larger cause of church planting in Africa through faithful brothers like Newton (Malawi), Nickson (Zimbabwe) and Antony (Mozambique).” By God’s transforming grace, our dear brother Lucky was baptized, along with 6 other transformed lives, this Sunday. Mission Malawi Reformation Bible Church, the church plant in Lilongwe, Malawi, pastored by our dear friend and brother Newton Chilingulo is growing in more ways than through evangelism and discipleship. After eight years of praying and waiting, God has answered and quite unexpectedly… Vanessa is pregnant!! Living Hope Ladies celebrated with Vanessa when she visited Pretoria last by throwing her a baby shower. She is due to deliver in October. Marissa tried her hand at cake decorating for Vanessa’s shower. Vanessa’s favorite animals are zebras. Short Term Mission Trip In July, Randy traveled to Malawi to be part of the team sent by Living Hope Church. Their mission was to encourage and support the Chilingulos and their church plant, Reformation Bible Church. The Mission Malawi team with RBC members. Members of the team had an opportunity to share about their mission trip over a local a radio station owned by one of Newton’s fellow seminary graduates. German intern Micha was part of the Mission Malawi team and served with Living Hope Church for almost a year. Sadly, last month we said goodbye to him as he returned to his home country. A servant-hearted godly young man, he impacted many lives while here and truly became part of our church family. He worked as Randy’s “right-hand man” quite a bit over the past year and is sorely missed! ACBC Africa Conference Early August ACBC (Association of Certified Biblical Counselor) held its annual Africa Conference entitled “Racism-When Colour Divides”, an appropriate topic in light of the events in Charlottesville, Virginia. Ironically, the conference was being held over the same week of these disturbing events. Audios of this conference’s sessions can be found here. As another baby from the Muphamuzi Baby Home is placed with his forever family- Pictured here with Sarah, our Intern Director, we look to the future and dream about what God will be doing in the next five years and beyond. LAUNCHING – MBH PHASE 2! As many of you know, some months back the Dept of Social Services suggested we request to become a “Cluster Care” property. This means we would be allowed to have TWO baby homes on the same property. Normally NOT allowed. We are happy to report that after various meetings – Architects, City Planners, Dept of Social Services, and a Child Protection Organization, God seems to be swinging doors wide open for this opportunity. We were met with enthusiasm in each meeting. From Government workers to CPO workers, our expansion was met with full agreement and willingness to help wherever they can. We were told our home is a “luxury home for babies” and more homes like this are needed! The application is now in process. We were not allowed to submit the application until we got “pre-approval” by all of the above parties. So now, as we understand, it is a matter of getting paperwork done as requested. Muphamuzi Baby Home will be the very first “Cluster Care” property in South Africa that offers “temporary care” as our passion is the family and we pray that our babies will only be in our care for a short while as they await their forever family. We are chomping at the bit to get started. This past month we have had to say no to SIX babies as our current home is already full! Home #2 would have already been filled and this breaks our hearts each time we must legally say “sorry, we are full”! Will you pray with us that we can see the doors of MBH #2 open VERY soon? Lord willing, Nixson Pasipaynoda and his family will return to their home country of Zimbabwe where he hopes to plant a church in the capital city of Harare in December 2018. Read more about Nixson and this church-planting project. Also, native South African Akani Hlungwane has been part of Living Hope since 2012 and plans to begin his Theological training within the next year. Akani, along with his wife Lerato, have a burden for seeing healthy, Bible-teaching churches established in the villages and rural areas of South Africa have hope to return to their home province of Limpopo to plant a church. Read more about this exciting work that God is doing. Praise be to you, Lord, from everlasting to everlasting. Yours, Lord is the greatness and the power and the glory and the majesty and the splendor, for everything in heaven and earth is yours. Now, our God, we give you thanks, and praise your glorious name. Most definitely in the last few months God’s greatness and power, glory, majesty and splendor has been on display, and we give thanks and indeed, praise his glorious name. Muphamuzi Baby Home celebrated 5 years since its doors opened in February, 2012. We had a beautiful night of celebrating and reflecting on what God has done in those five years through this humble home. Not only has the home cared for 40 babies, but many families, caregivers, interns, donors, volunteers and mission teams from all around the world have been touched as they all willingly have taken part in what God is doing there. The Baby Home requires approximately $3000/month in running costs which means that in the past 5 years God has provided $180,000 from donations to help cover the cost of caregivers, diapers, formula. We have witnessed God’s hand over and over again: a baby is placed in the home, is lovingly cared and prayed for by caregivers, volunteers and interns, and under this care, the baby grows and thrives. Then in God’s sovereign timing, the little one is placed in a family. As Marda went through the list of all that God has done through the Baby Home, she ended each statement with, “How Great is our God!”. Watch the video shown that night describing the mission of the Muphamuzi Baby Home by clicking here. Photo Gallery of the babies and the families they were placed in after our care. DeWits and Macks several years ago had a dream of opening a home for abandoned and vulnerable children. And the dream continues- Phase 2: expanding the current back building into a second baby home. New Church Facility After years of praying for a new facility, we joyfully moved into the new building God has provided and held our first worship service on April 2nd – perfect timing for a Good Friday communion /church family meal and Resurrection Sunday service. Living Hope Church’s first worship service in our new building- How Great is our God! Ministries in our neighboring country, Swaziland. We made a quick trip across the border to Swaziland to visit our dear Mary-Kate and her ministry to sexually abused children, Hosea’s Heart. She took us out to her newly acquired land, 7 hectares (which is equivalent to over 17 acres). She is dreaming and praying BIG, and prays that one day the land will occupy 14 buildings, including: 5 homes housing 8 girls and a house mom each, a home for teenaged moms, a director’s house , long term and short term volunteer housing, a school, a chapel, multipurpose, offices/workshops and a guest house! Whew! How Great is our God! Hosea’s Heart’s newly acquired land has been cleared. They are waiting for final official documents to come in and then they will be ready to break ground for phase 1! Hosea’s Heart Girl’s Home – God is working in each of these girls lives. He has seen them and rescued them! How Great is our God! We also visited Pastor Vusi’s village in Big Bend, Swaziland. We then brought him back to Pretoria with us in order that he may participate in our African Bible Training Classes (ABTC). Brothers in Christ walking with God together. Pastor Vusi, his wife Nombuso and their newest little one, Ben, in front of their new church building. By God’s grace and to their joy, their building was ready for Easter Sunday’s service! How Great is our God! Tina and Bryan Bush, whom we are so thankful to for running 1Hope Ministries International in the U.S., came for a week to visit our family and the ministries of 1Hope4Africa. Sadly, at the end of their week, they also took home their daughter, Sarah, who had become part of our family over the last three months. Their week here also included a quick trip to South Africa’s Drakensberg (translated Dragon Mountains) where the splendor of God’s greatness was on full display! Bryan and Tina Bush with daughters Sarah and Hannah enjoying God’s creation! Appropriately, Ladies Ministry ‘s theme this year for this year is Knowing God Together. We will be studying the incommunicable attributes of God (which in common language translates to the qualities of God that are true only of Him.) This month we studied that God is “infinite.” He has no limits and is therefore unlimited in all his attributes. Limitless in love, mercy and grace. Limitless in knowledge, wisdom and power. There is none like Him and so He is worthy of our worship and praise. I am honored and privilege to be teaching a few times this year. It is a gift to be teaching my sisters about our great and infinite God, and I am thankful for the opportunity to grow in my knowledge of Him in this way. Enjoy this quick video with our LHC ladies singing about knowing Him. Sisters in Christ agree: Knowing You, Jesus…there is no greater thing. Our Children’s Church and Creche (nursery) which cares for children ages 6 and below during our sermon time resumed at the end of January. Thanks to the funds raised by Calvary Church VBS during our time with them back in August, we have launched a new Sunday School program for preschoolers using curriculum from Children Desiring God. The children will learn Bible stories that will encourage them to understand more of the greatness of God in Christ, as well as begin to hide God’s Word in their heart through the Foundation Verses memory program. We are thankful for the privilege to be starting this program with these little ones and pray that God would use it not only in their young lives, but also the lives of the teachers and families to grow in their knowledge of God. African Bible Training Centre has added two more courses to their already running Old Testament Course. Julia, Randy and I will be taking the survey of the New Testament class every other week where we will look at every book of the New Testament. Julia, Marissa and Randy will be looking at Systematic Theology to study foundational Biblical truths. Muphamuzi Baby Home Our oh so sweet Christmas Baby was reunited with his birth mama last month and we believed that God has heard our prayers for this sweet boy and answered. Two more babies have also been placed in foster families over the past few months. Foster families in South Africa is at least a two year placement and the first step towards adoption if the courts rule favorably. The Lord has provided Baby T (far left) with a family. Garakai and Makonnea are the Baby Home house parents! Interns are needed: From our Director of Interns, Sarah Ray : 1Hope accepts interns throughout the year. (We can accommodate up to 2 ladies at a time, so sometimes it is fun to do the internship with a friend or sister!) Our interns serve at Living Hope Church (www.livinghopechurch.co.za) and Muphamuzi Baby Home, are discipled regularly in the Word of God, and are encouraged daily to live life for God’s glory. If you know of ladies in your church or family who would be interested in learning more, would you personally let them know of this opportunity? They can email me at sarah.ray.1hope@gmail.com for a Prospective Intern Information Packet or with any questions. Visitors When Sarah Bush first travelled to South Africa with her family as part of a mission team in 2013, it was done very reluctantly. However, The Lord moved in her heart on that trip and since then she has joined two other mission teams to South Africa from Grace Church of Orange. Now, on her fourth visit to a place she originally dreaded to come to, she has journeyed willingly and joyfully and is joining the life of Living Hope Church and the Clark family for three months. She has blessed us with a servant attitude and is helping me with the daily homeschooling, volunteering at the baby home, plugging into the different ABTC classes, providing childcare for communion and Ladies Bible study. Our Mission Malawi family, the Chilingulos are also in Pretoria as they are seeking medical attention for Vanessa. She has two separate appointments and we are praying that she will receive the medical care that is necessary to help her. Please pray for these dear ones. Church Facility! We joined Living Hope Church in 2012 and over the past four years the congregation has doubled in size. The small hall that we rent from the Lutheran Seminary overflows on most Sundays. For the past couple of years Sunday school and creche has been held outside under easy-up tents. Every Sunday Randy has packed up our van and trailer with sound equipment, easy-up tents and tables and toys and books and craft-supplies for the creche and Sunday school, tables and coffee urn, and mugs for the coffee table. He has gotten it down to a science and as soon as he pulls into the parking lot, many servant-hearted hands are there ready to set up church. We have prayed and search, and then prayed and search some more for a different facility that would better suite our perceived needs. And God’s answer all this time has been “not yet.” As we have prayed, we believed our need was for a different building to rent or purchase, but God in His sovereignty has shown us that our real need was to grow in our dependence and contentment trusting Him. We believed our need was for a proper place to hold our Sunday children’s program, but our real need was to give our people opportunities to serve in helping set up tables and tents. We believed our need was for a space to hold church events such as communion, ladies Bible study, ABTC classes but our real need was to give people an opportunity to serve the church with hospitality opening their homes for these church events. And then suddenly out of nowhere in casual conversation our elders became aware of a Presbyterian church in financial need looking for another church to rent their extra space. In a matter of a few short weeks a contract has been presented for much larger space, more hours on Sunday, availability during the week all for less rent! The news was announced at our church family meeting today and there was great rejoicing! We are thankful to our good Father who always knows what we need when we need it and who gives good things to those who ask! Family Holiday Just before all the ministries started up again, we were blessed to take a few day off to enjoy one of our favorite RSA destinations. Truly a wonderful way to grow in the knowing God is spending time in His awe-inspiring creation! In case you noticed, there is an extra Clark child in this photo. Micah, who is interning with 1Hope is from Germany and joined us for our family holiday. Packer goes on to discuss our rightful response to this Christmas message: that we, like our Master, must live our whole lives on the principle of making ourselves poor, on “spending and being spent-to enrich fellow humans, giving time, trouble, care and concern to do good to others” All to the glory of God. Hope for Swazi We had the privilege of working alongside a beautiful example of this “spending and being spent” this past Thanksgiving week as my sister, Jocelyn and her husband, Mark, lead a team from their church, Hope Chapel in Hermosa Beach, CA, to Swaziland to work is a small rural village building a church for Pastor Vusi. For a couple days we enjoyed working alongside the team in Swazi which was lush and green due to recent rains. It was priceless and precious to be “on mission” with my sister who is also my sister in Christ! Elijah with his new buddies as they paused from their soccer game to pose. Randy spent time encouraging and being encouraged by Pastor Vusi, a faithful man of God who is hungry to further his training and be better equipped to do the work God has called him to. I had the joy of reading God’s word and praying with this new precious sister Nombuso. Together with her husband, Pastor Vusi, they run the Care Point of Big Bend where they hold church services and Bible Studies and feed the community. They also run two “Angel Houses” – a boys and girls’ home which care for children who have no family. Below are before and after photos of the church building. We were only there for two days, but the Hope for Swazi team worked so hard and accomplished much in the five days they were there. Not only did they build a physical building, but through their love and encouragement to Pastor Vusi and the community, they built up the the spiritual church of King Jesus in this small rural village! Their final evening and morning in Africa the team spent with our family in Pretoria! Living Hope Christmas Celebrations Back in Pretoria – The Ladies’ Bible Study group wearing Christmas red gathered for one final time this year to celebrate the birth of Christ. All of Living Hope Church gathered for its annual Christmas Celebration with an international dinner. We all brought food from our country of origin. After sharing this amazing, taste-of-heaven meal together, different members blessed us with Christmas songs. Christmas Baby The Muphamuzi Baby Home will be closed over the Christmas holiday to provide much needed rest for the caregivers and volunteers. We are honored and thankful for the privilege to care for our annual Christmas Baby during the next week and a half until the Baby Home reopens in January. Refugee families Update In our previous update we shared about two families in our church who were struggling to obtained refugee status in this country. Sadly, neither family was granted the documents needed. The couple who sat waiting in prison for several months and whose children were being held separately in a place of safety, were given just a few hours notice and the entire family was placed on an airplane headed back to their country of origin. We have heard from them and they are safe, although the country is currently experiencing much turmoil and unrest during these past few weeks. The other family who has been reunited for the past few months will soon be taken to a refugee camp in a neighboring country where they have lived before. Both families are obviously still in desperate need of prayer as they seek to resettle and make their way. Although this was not the outcome we had hoped for, we hold on to the many precious truths that God reveals to us in His word. We know that many have prayed for these families and we trust that God has heard these requests. We know that He is sovereign, He is in control, and He is on His throne. We know that although things appear to have gone wrong, they haven’t really gone wrong at all. We know that “our present sufferings are not worth comparing with the glory that will be revealed in us” (Romans 8: 18) We know that through the seemingly “bad” circumstances that God brings into our lives, He uses them to work for our “good”. And that “good” is shaping us and conforming us into the image of His Son who came to us 2000 years ago under poor, pitiable scandalous circumstances. His suffering and dying a brutal criminal’s death has meant redemption for those who, by faith “love him and are called according to His purpose. Romans 8:28-29. Everything is needful that he sends; nothing can be needful that he withholds. Clark Family Birthdays At the end of October our sweet, servant-hearted Sophia celebrated her 11th birthday by attended a production of “Annie” at the Montecasino Theatre in Johannesburg. Our brilliant budding artist, Marissa Joy, turned 14 at the end of November. Her artwork was displayed at a student exhibition at a local gallery where she takes art lessons. Although the kids of Swazi spoke very little English, they could not get enough of listening to Sophia read. From far off you would see several children huddled together. As you approached to take a closer look, you would find Sophia at the bottom of the pile reading from her Bible! After a day in Swazi, Marissa discovered that God could use even her artistic abilities for His glory. She spent the morning writing a verse in SiSwati on the wall of the Boy’s Home. The Clark Family wishes you joy and blessing this Christmas season and in the New Year! ACBC Africa Conference Upon our return to South Africa in August from our six week visit to California, the Association of Biblical Counselors, Africa in partnership with Living Hope Church and other churches, held its second annual conference teaching on the sufficiency of scripture in counseling all areas of life. Although adjusting to such a different time zone is always a challenge, we were able to attend parts of the conference and soak up teaching on the wonderful truths that God’s word is truly is sufficient. All the sessions were excellent, but this one in particular (click on “Heath Lambert-My Personal Journey to the Sufficiency of Scripture”) gives amazing testimony to the sufficiency of God’s grace to overcome some of the most painful and dark circumstances this world may give us. If you have an opportunity, it is a must listen! As a result, the leaders of Living Hope church were inspired to put together a year-long program to train and equip us for ministry in “coming alongside people as a faithful friend and helping them to grow spiritually and honour God in their various life situations by wisely counseling them with biblical truth.” Randy and I are both excited be taking part in this training which began this month. Muphamuzi Baby Home We are thankful that God has provided for our little Christmas Baby from last year! This month he has been placed with a wonderful South African family that will foster him until he can be legally adopted. To God be the glory for his goodness and kindness! The little guy picture below has been with the Baby Home since he was just 10 days old and this month has celebrated his one-year birthday. His situation is quite complicated, but we are praying for him to also be placed in a loving home that will point him to Christ. Intern visits and revisits Our newest intern, Danielle, is from Germany and is the younger sister of an intern who served at the Baby Home earlier last year. Former MBH interns, Emily (from California) and Sarah (from Switzerland) have returned to Pretoria for a visit with Living Hope Church family. Discipleship Opportunities Living Hope church seeks to be a church of disciples making disciples. spending time with sharing God’s truths. The young man to the right of Randy is an intern from Germany who will be with us for about 10 months. Prayer Request As I have mentioned in the past, Living Hope church is a beautiful, diverse community with families/believers from many different nations. Most of our immigrant families have been granted asylum/refugee status by the government, but two families have struggled with this and have lived outside the United Nations building for over a year attempting to obtain the paperwork necessary for them to remain in the country. Earlier this year, the men of these two families were taken to prison and their wives and children were place in shelter homes with the threat of being deported. You can read about one these families in the Pretoria New article. For the past several months, once a week Randy has driven to the prison in order to visit, encourage and pray with our brothers in Christ. Since then, one family has been released and the family reunited, but another husband along with his wife are in prison apart from their children. They have lawyers advocating for them as it is believed that they have grounds for refugee status. This case has been heart-breaking to watch, but at the same time so encouraging to see these men stand firm in their faith trusting and understanding that our lives rest in God’s sovereign hands. It has also been wonderful to see God work through his church to bring encouragement to these families. Please pray for this brother in Christ and his family. That he would be encouraged and stand firm trusting God although the situation, from a human perspective, appears hopeless. That he would find favor with the SA government and be granted asylum so that he may be released from prison and his family can be reunited. New Neighbors We were thrilled for our friends, ministry partners and neighbors, the Dewit family, when they purchased a home of their own! Our year and a half having them live in the 2 bedroom flat on our property was a special season of community that we are thankful for. We welcome and are thankful for our new neighbors, Lu and Sarah! Family Updates: August 22 marked our fourth year of life in South Africa for our family. Looking back on our journey, we can only marvel at God’s sovereign and gracious hand on us as he has gently and lovingly lead us along the way. We stand in awe of a good and holy God; that there is nothing about us that would cause him to choose us to be part of His family and even more so that He would give us the privilege to serve Him in this way. This fall (spring for us) all the kids have started a new year of schooling and my primary focus continues to be on the education and discipling of my five precious children. We are so thankful for Lu (one of our new neighbors)who has been lovingly and firmly helping us with the homeschooling of our youngest, Elijah, who is now in third grade. She approaches each teaching session in prayer with the focus that their time together is to glorify God! What a gift she has been. Our one room school house! This past month has been so full; stuffed full to the brim with the fullness of joy through God’s richest blessings and kindness! Although we know that the greater eternal joy is yet to come, he blesses us with tastes of it here and one of the most tangible ways he does that is through relationships with our brothers and sisters in Christ. Mission Team In June, we were blessed to host a mission team from one of our home churches. This is the fourth mission team Grace Church of Orange has sent to partner with 1Hope4Africa. It has been so fun to remember the very first team that was sent back in 2012 that Randy was a part of that lead to our move across the world. The mission team worked and played hard with us: painting and cleaning and organizing the front part of the Muphamuzi Baby Home in preparation for new house parents. Digging, clearing, planting around our new counseling/teaching center that was christened “The Bible House”, a small wooden structure erected in the backyard of one of our church family’s home. The Safaris live close to Sunnyside where many of our church families reside. They graciously agreed to have the building built on their land for the purpose of holding Bible courses and pastoral counseling. The team provided childcare for an Evangelism training day and helped Living Hope Church host their 2nd annual Fun Day. They also took part in outreach at the University of Pretoria, home visits and Bible study in the refugee community of Savakop, and our monthly communion service. Living Hope Church 2nd annual Family Fun Day! U.S Visit Two days after the team left, our family boarded an airplane leaving the chilly weather of Pretoria for sunny coastal southern California where we are currently staying for six weeks. So much joy to be had in the reunion of family and friends that we have not seen and hugged in a year and a half. It is a mere reflection of the glorious Ultimate Reunion waiting for us on eternity’s shores. Precious moments with Susan’s dad. What joy it has been to also have our “sixth” child “Balekane” travel with us. We shared her testimony here (scroll down to “Family Additions”) and since her joining the Living Hope Church family, she has become a constant family member for us as well and we have had the joy of her being with us for a few weeks. She has motivated us to do some L.A. sightseeing that we would not have otherwise done. So so fun to have the Mack family join us for a weekend and have Josh, our South African pastor, preach at our American church! Also, through no collaboration or previous planning, the Chilligulos (Mission Malawi church plant) are also in Orange County. What a shock it was for Randy to find Newton in the restroom of a Costco. We did know they were somewhere in Southern California, but did not know exactly where, until then! If either of them falls down,one can help the other up. We feel such gratitude and joy and are humbled that God has allowed this truth to be manifested in our lives. “Two” has indeed been so much better that “one”. We have indeed picked each other up, kept each other warm and defended one another. We are thankful that God is the third cord in our strand of marriage and has been what has sustained us and kept us strong these past twenty years. To Him alone be the glory! But before then, we will have the privilege of being the missionaries for Calvary Church of Santa Ana’s Vacation Bible School. It will be a privilege to share the work and ministry that God is doing through 1Hope and Living Hope. Our prayer is that as children hear what God is doing across the world, they will be drawn to the beauty and majesty of the gospel of our Lord Jesus Christ. I’ve been reading John Piper’s latest book “Peculiar Glory” and just came across this one section titled “The Heart of His Glory: Majesty in Meekness”. Piper states that God is more glorious because he is a “paradoxical juxtaposition of seemingly opposite traits rather than being a manifestation of only majestic strengths…the majestic heights of God are glorified especially through the way they serve or stoop in lowliness to save the weak.” This is what Piper calls God’s “peculiar glory”and Jesus is the embodiment of it: “When Jesus Christ, the eternal Son of God, steps down in humanity this is what he claims for himself: “The Son of Man came not be served but to serve, and to give his life a ransom for many. (Mark 10:45) His glory was not in the recruitment of servants to meet his needs, but in the extreme willingness to serve, even to the point of giving his life for those who would trust him.” What a glorious Savior indeed! Living Hope Baptisms What could be more appropriate, but that Living Hope Church would celebrate Easter with a baptism service? So thankful for the ten that were baptized that evening. From that day on I was not the same. I have peace knowing that what ever hardships may come, my God is for me, and that he has a plan for my life and chose me before the foundations of the world…. Now, I have hope because of what Christ did for me, a deeper yearning for Christ and desire a to grow and give him glory. As a result, my future goals have changed from thinking about what would best for me, to what would be best to glorify God…I know that one day I will be able to live with my savior for eternity in a place where there is no sorrow, no sin, no sickness, and no death. Part of my mission statement is Colossians 3: 1 which says, “If then you have been raised with Christ seek the things that are above where Christ is seated at the right hand of God.” I want to focus my life not on earthly things but things that are eternal. It has been four years since the Muphamuzi Baby Home opened it doors. As we reflect on how God sovereignly brought 37 babies in our care over these past four years, we are reminded of that God is “El Roi”, the “God who sees”. The King of kings is on His throne. He sees and knows and is close at hand and never sleeps. He is caring for these tiny ones. “Living Hope is about 6½ years old. Our church has met in a home, a flat, a tent, and for over 4 years now, in a Lutheran Seminary building. This current facility brings several challenges: the rent is high, the facility has no foyer area for people to interact, it has no classrooms for crèche (nursery) and children’s church (we currently use tents outside), and it is only available to us on a Sunday afternoon (during prime nap time!) for 2 hours, shortening our time together on Sundays and tying our hands regarding a number of ministries we would love to run if we had a facility for more than just this 2 hour time slot. Over the years, we have looked high and low for another facility, but with no success. But we have now found a property for sale which would be a great fit for our ministry needs!. It’s large enough to cover our current ministry needs and provide some real possibilities into the future (2,380 square metres!). Further, it has a flat roof and we are told we could even build a second floor. The outside structure is sturdy and in great condition. The inside is mostly dry wall and would be very easily renovated as needed. The property is only 2 blocks away from the Baby Home. Is this the future site of Living Hope Church?? Please be in prayer. Clark Family News: Next month will be a busy month for us! June 9-19th we will be hosting a mission team from Grace Church of Orange. We are looking forward to connecting. Two days after they leave, we will be following them back to the U.S. for a six week visit with our community of family, friends, church family in Orange County. Welcome and thank you for visiting us! 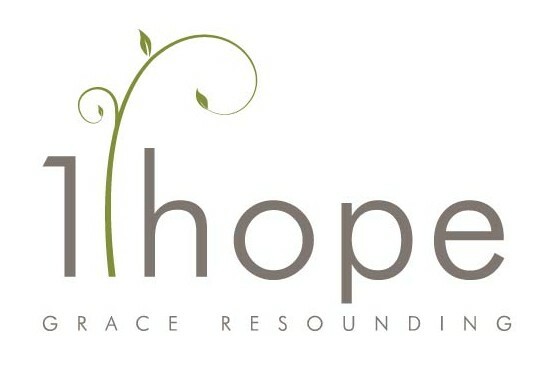 In August, 2012, we packed our family of 7 to move to Pretoria, South Africa to work for 1Hope Ministries International. We eagerly invite you to join us in this journey as we share what God is doing to advance His kingdom on the other side of the world! Baby Home Interns needed- Click here! Contact Us! Please feel free to drop us a line!